Naomi Klein is a Puffin Writing Fellow at Type Media Center. 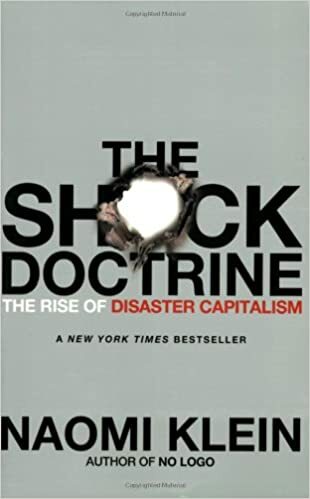 She is an award-winning journalist, syndicated columnist and author of the international bestsellers, This Changes Everything: Capitalism vs The Climate (2014), The Shock Doctrine: The Rise of Disaster Capitalism (2007) and No Logo (2000). 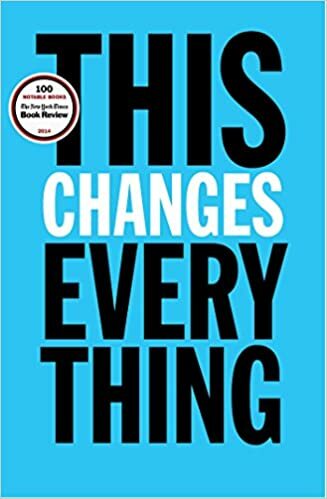 This Changes Everything was an instant New York Times bestseller and is being translated into over 25 languages. Nominated for multiple awards, it won the 2014 Hilary Weston Writers’ Trust Prize for Nonfiction. The documentary inspired by the book, and directed by Avi Lewis, premiered at the Toronto International Film Festival in September 2015. Since This Changes Everything was published, Klein’s primary focus has been on putting its ideas into action. She is one of the organizers and authors of Canada’s Leap Manifesto, a blueprint for a rapid and justice-based transition off fossil fuels. The Leap has been endorsed by over 200 organizations, tens of thousands of individuals, and has inspired similar climate justice initiatives around the world. Klein is a member of the board of directors for climate-action group 350.org. In 2015, she was invited to speak at the Vatican to help launch Pope Francis’s historic encyclical on ecology, Laudato si’. In 2017, Klein became Senior Correspondent for the Intercept. She is also a contributor to The Nation magazine. Recent articles have also appeared in the New York Times, the New Yorker, the Boston Globe, the Guardian, the London Review of Books, and Le Monde. She has multiple honorary degrees and in 2014 received the International Studies Association’s IPE Outstanding Activist-Scholar award. Losing another four years to a Republican or a corporate Democrat, and starting in 2026 is, quite simply, a joke. By Naomi Klein in the Intercept. “The bold moral leadership of newly elected members of Congress has me feeling more optimistic about our collective chances of averting climate breakdown.” By Naomi Klein in the Intercept. The Green New Deal is not a piecemeal approach that trains a water gun on a blazing fire, but a comprehensive plan to transform society for the better. By Naomi Klein in the Intercept. Donald Trump and Brett Kavanaugh are what we get when a country is ruled by coddled, overconfident men who have never been permitted to fail. By Naomi Klein in the Intercept. Honoring the victims of Hurricane Maria begins with telling the truth. Long before that storm, Puerto Rico was a textbook example of disaster capitalism. By Naomi Klein in the Intercept. Nathaniel Rich, in his massive New York Times Magazine article, argues “human nature” kept “us” from fixing climate change in the 1980s. He’s dead wrong. By Naomi Klein in the Intercept. We don’t just have the potential to avert disaster but could improve society in the process. Acclaimed journalist, activist, and bestselling author Naomi Klein has spent two decades studying political shocks, climate change, and “brand bullies.” From this unique perspective, she argues that Trump is not an aberration but a logical extension of the worst, most dangerous trends of the past half-century—the very conditions that have unleashed a rising tide of white nationalism the world over. It is not enough, she tells us, to merely resist, to say “no.” Our historical moment demands more: a credible and inspiring “yes,” a roadmap to reclaiming the populist ground from those who would divide us—one that sets a bold course for winning the fair and caring world we want and need..
A national bestseller, No Logo took Canadians by storm when it was published last year in hardcover. Equal parts cultural analysis, political manifesto, mall-rat memoir, and journalistic exposé, it is the first book to uncover a betrayal of the central promises of the information age: choice, interactivity, and increased freedom. No Logo takes apart our packaged and branded world and puts the pieces into clear pop-historical and economic perspective. Naomi Klein tracks the resistance and self-determination mounting in the face of our new branded world and explains why some of the most revered brands in the world are finding themselves on the wrong end of a bottle of spray paint, a computer hack, or an international anti-corporate campaign.